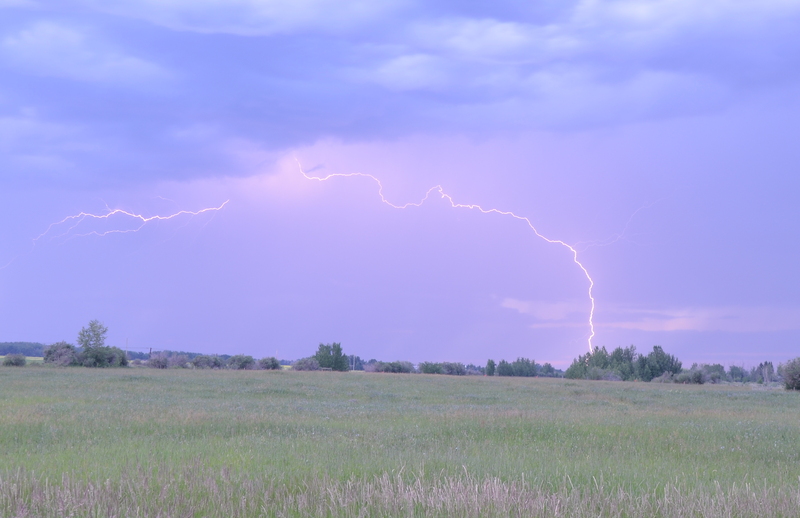 More storms for central Alberta! 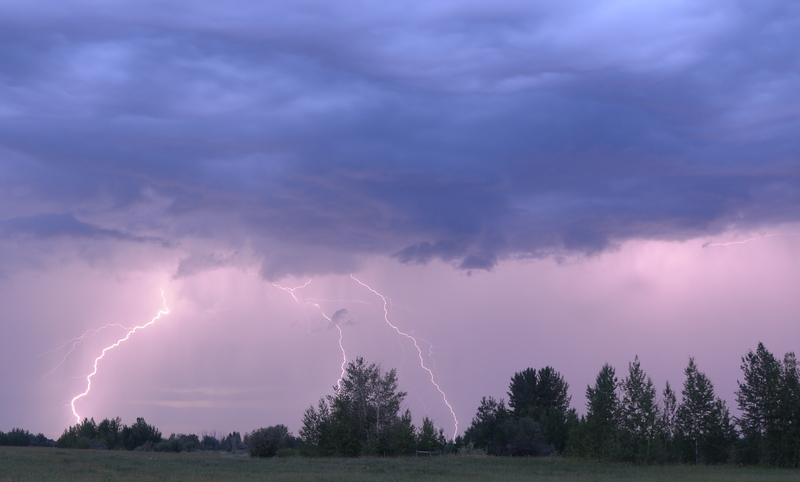 another round of night time storms for Central Alberta. 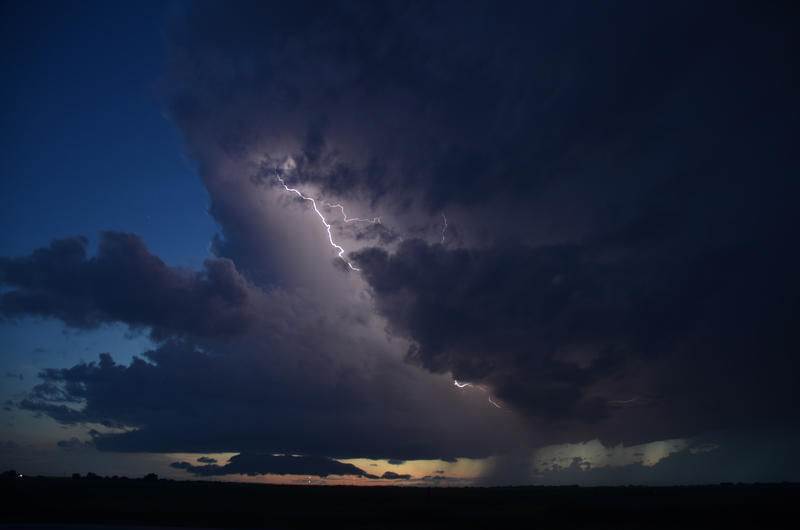 Chasers Ryan Keller and Jeff Wallace intercepted two of the three major cells this evening and Mike Rurak intercepted the southern most cell. 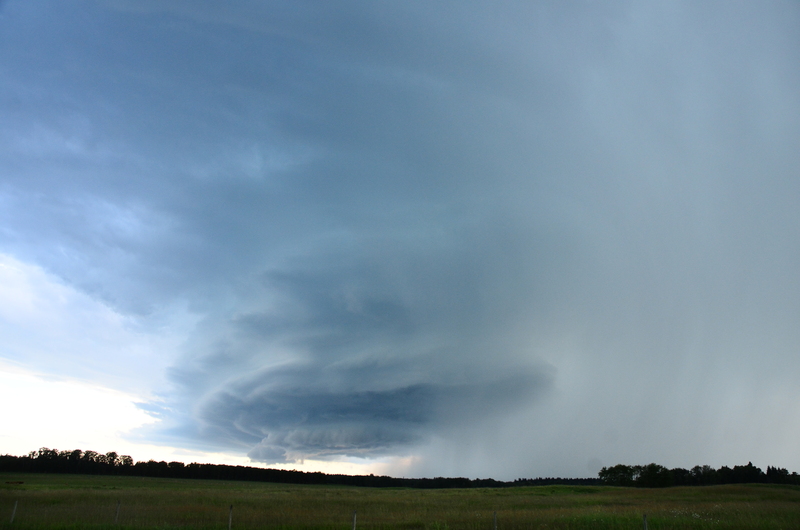 What started as a small LP supercell in western Alberta is still going more than 24 hours later. 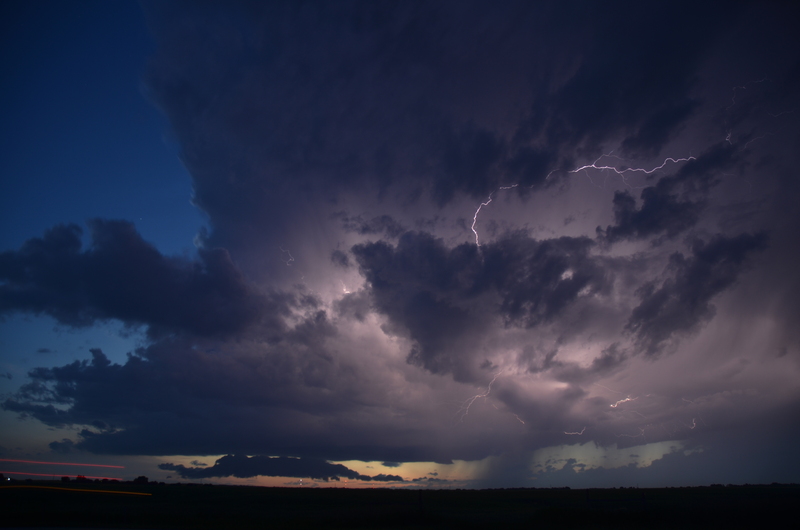 The storm rapidly intensified into a powerful MCS as it went through the Edmonton area in the middle of the night. 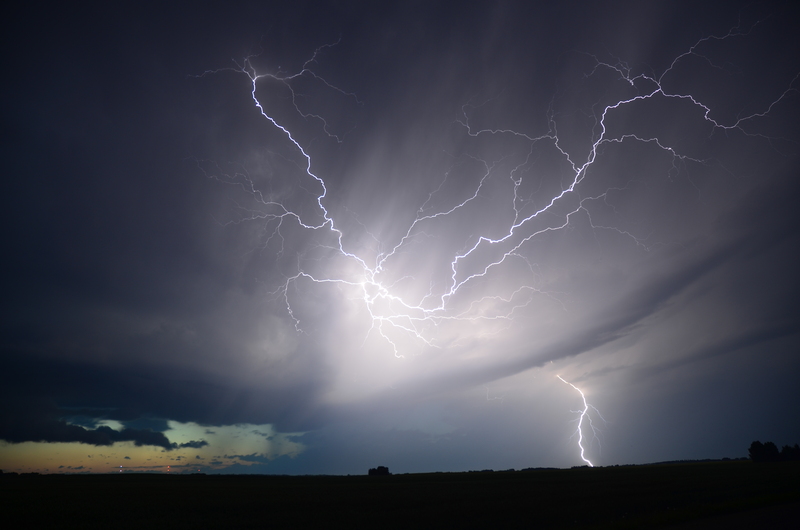 Frequent lightning, strong winds, dime sized hail and very heavy rains pounded the area through the night and well into the morning passing into Saskatchewan by 9:30am. by the afternoon it took advantage of daytime heating and intensified even more. producing several tornadoes. 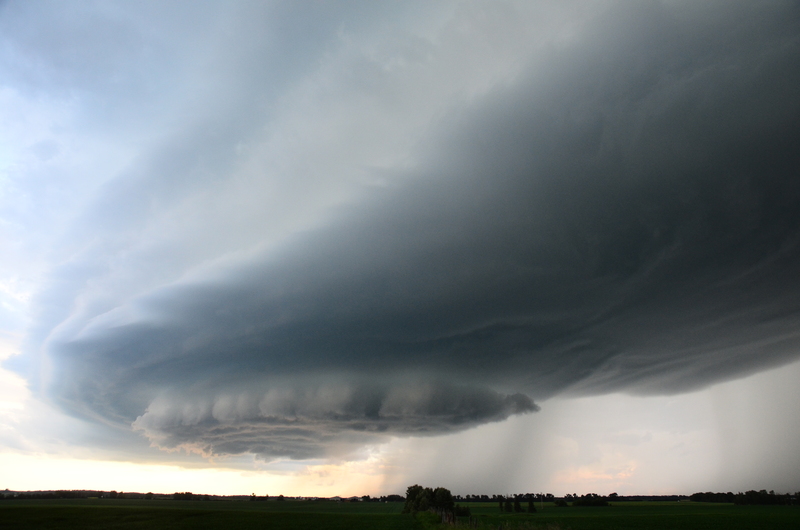 Severe thunderstorms break out in Alberta, barely out of the swamps! 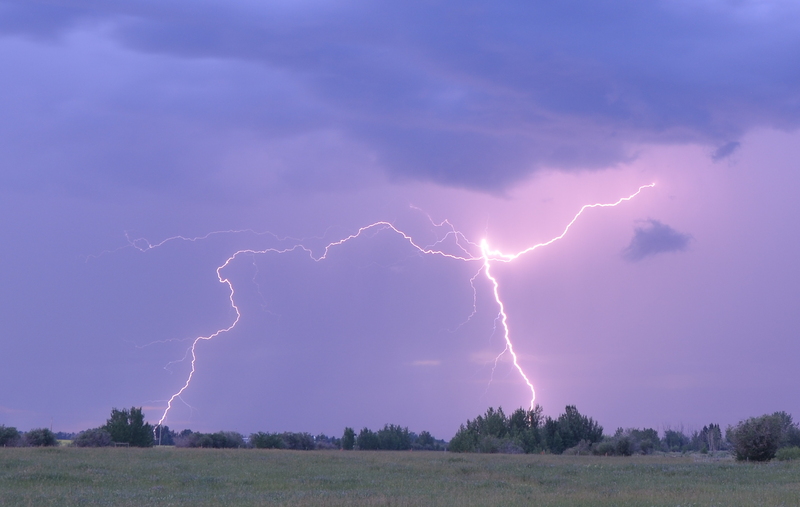 After a hot and humid day severe thunderstorms broke out over northwestern Alberta and the northern foothills. 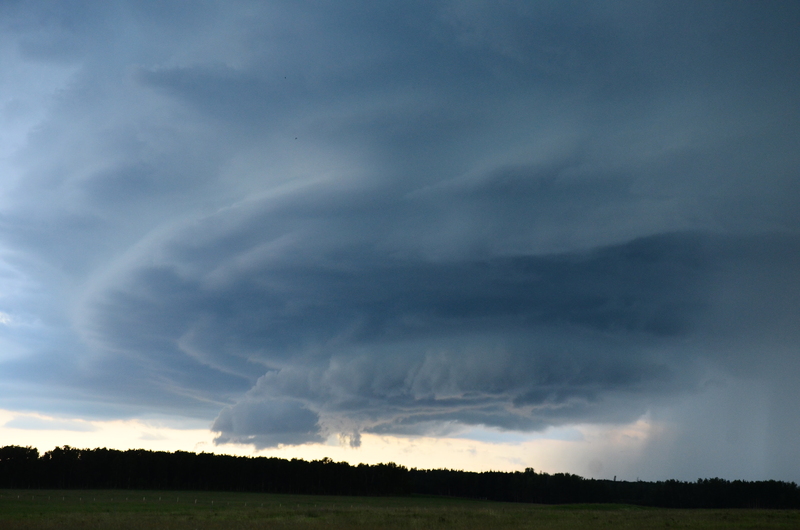 A few of these stormed out of the bush and muskeg and into the Barrhead and Mayorthorpe areas, Chaser Ryan Keller was able to intercept the storms just before they became a squall line. 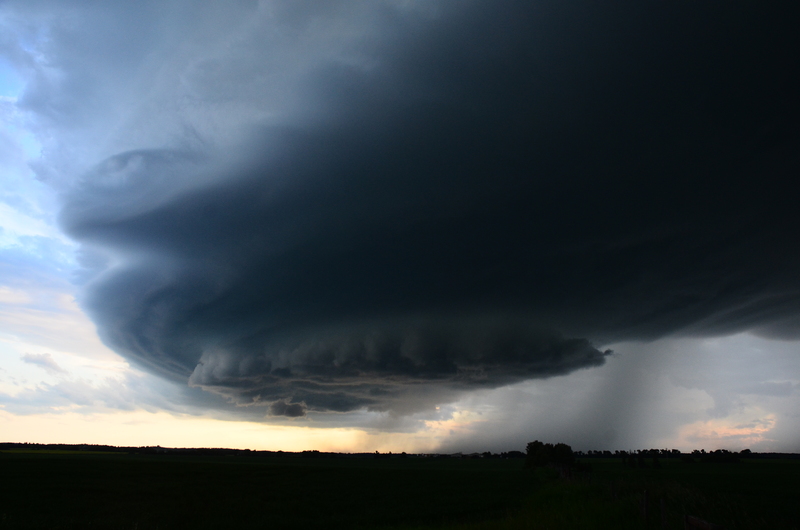 The storms produced some of the best structure of the year for AlbertaWX. I(Mike Rurak) Busted out twice today, Had the first storm die on me near Alder flats and a 2nd squall out and die before making it out. The previous forecast was accurate for the yellow head WEST of Evansburg. HOWEVER the Drayton valley and Pigeon lake regions got nothing from the set-up. 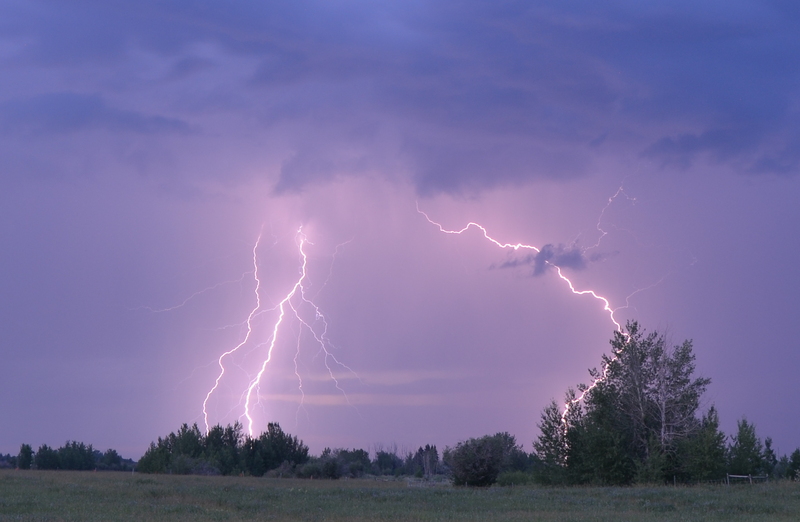 The Barrhead and RMH regions was not expected to get the worst of the storms but it however did with reports of golfball sized hail. 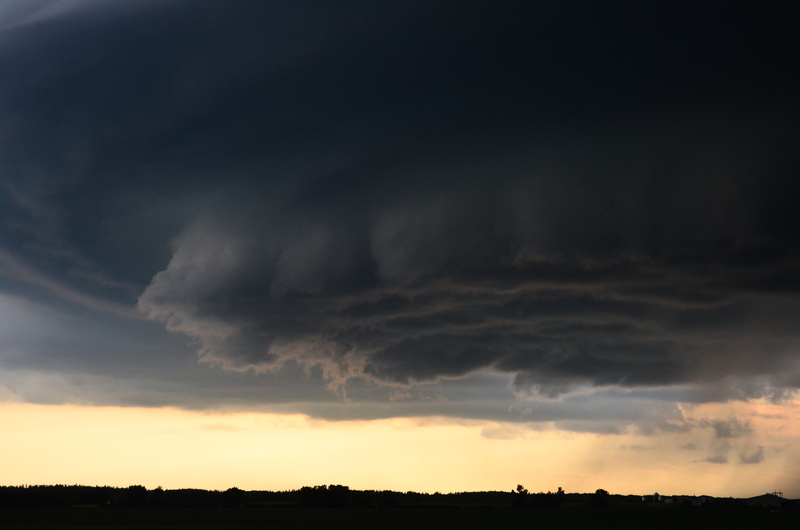 Overall the storms were 50-100km to the Northwest of the initial forecast. MLCAPE of up to 3500 and EHI values of 4 sat completely unrealized under the cap as we suspected. So strong that a cold front is sweeping the high dewpoints away without any convection from the strong lift with the cold front. According to GFS and NAM we are looking at a potentially dangerous setup in central Alberta. NAM is showing MLCAPE values of 5000 in places. There is going to be high level shear present. There will be enough shear to create the potential for large hail and tornadic activity. Lack mid level shear however keeps the chance of a tornado low to moderate. Models are showing a convergence line along the Yellowhead east of Edmonton also high CAPE values between Drayton Valley to Pigeon lake are showing potential for development in this area. Later in the afternoon the Yellowhead East of Edmonton should see evening storms possibly in the Mundere area. That being said the more favorable shear appears to be east of Edmonton. A CAPE line extending from the foothills might also cause some cells to pop up on the west side of the QE2. It should be a very active day for Alberta. Environment Canada is taking no chances with this setup and issuing special weather statements for most of central and northern Alberta regarding this storm setup. Click here for the warnings page.